This August, Japanese eyewear manufacturer Kaneko Optical has teamed with nonnative once again to produce the latest iteration of the DWELLER frames. 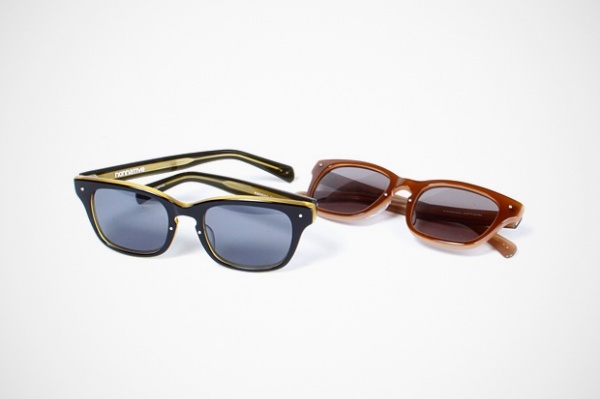 Arriving in the form of either black or brown sunglasses, each DWELLER offering sees a two-tone frame with corresponding protective lenses and understated branding. Made in Japan, both colorways of the premium shades are now available from select stockists for ¥23,940 JPY (approximately $302 USD) each. This entry was posted in Sunglasses and tagged Collaboration, Dweller, Kaneko Optical, nonnative. Bookmark the permalink.